In accordance with Mississippi House Bill No. 1071 from the 2010 legislative session, East Central Community College in Decatur has released its academic year 2016-2017 Mississippi Community College Performance Profile, or Report Card. The bill created an Education Achievement Council which was established to set education achievement goals for institutions of higher learning and community colleges in the state and to assist in monitoring progress towards those goals through the preparation of annual institutional and state report cards. The Community College Report Card, designed to reflect the unique mission of community colleges, incorporates measures closely aligned with the Voluntary Framework of Accountability developed by the American Association of Community Colleges. Therefore, each report card includes information for the specific community college, along with corresponding figures for the state system, which includes all 15 Mississippi community colleges. Information contained in the report includes student enrollment, degrees awarded, student success, student retention, student progress, workforce development information, and High School Equivalency and adult basic education statistics, as well as enrollment and success in development or remedial coursework (college readiness). 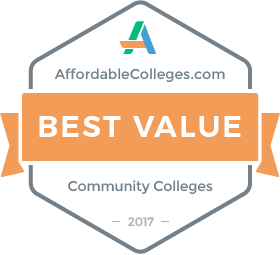 In the 2016-2017 Community College Report Card, ECCC was among the best in the state in the areas of College Readiness, Student Success, Student Retention, and Student Progress. In College Readiness, ECCC ranked among the top in average ACT composite score of entering freshmen. In Student Success, ECCC ranked among the state’s elite in the percentage of full-time entering freshmen graduating within three years. The college also ranked high in the percentage of students transferring out to Mississippi public four-year universities. In Student Retention, East Central was among the top in the retention rate of students in for-credit transfer degree programs and in total retention. In Student Progression, ECCC showed strength in helping full-time students earn credits to graduation at a pace aligning with on-time completion. In addition, East Central ranked near the top in developmental mathematics students completing College Algebra. The 2016-2017 Performance Profile (Report Card) for ECCC can be found on the college’s website at https://www.eccc.edu/consumer-information. In addition, a copy can be obtained from the Office of the President.